Available on amazon and other booksellers. Daenko's mysterious poems and unusual explanations of the cosmos and evolution, awaken in Johan a new appreciation for life. Guided by Daenko's stories, in particular one in which Lao Tzu and Albert Einstein share a meal, and several revealing dreams, Johan's childhood quest for the Holy Grail is revived. A Fish Made of Water is part autobiography, part fiction. Johan's experience of the unseen world, however, is real. The book is $12.95 at amazon. Kindle versions are also available. Showing 1-6 of 6 reviews(Verified Purchases). I am a Numerology student/practitioner of Hans, basically I've bought his software and then I've proceeded for hours to listen to his audio course, which is an amazing and very comprehensive treatise on the subject. During which, I have often imagined the author as a very well balanced person, completely at ease and grounded well. Then I have heard about his semi-autobiographical book and I just had to check it out. This book fills the picture to the puzzle of the author's life in his youth, and the self discovery and salvation he experienced, by not giving up and looking for inner strength in mysticism. I have just started to read the book, which is interesting and entertaining all in one. I really enjoyed this book. I found it captivating and well written. I was immediately engrossed, and invested in the story until the end. I am glad the author went on to have a successful life. I've known Hans Decoz for 17 years and I never knew him like I know him now! I've known Hans Decoz for 17 years and I never knew him like I know him now! Like the other reviewers, I couldn't put it down. Hans is quite a private person and I'm amazed (and grateful) that he chose to share his extraordinary life with us in such a public way. He is a very bright light in this world, and it's a flat out MIRACLE he's still with us today. One of the most profoundly entertaining books I've read in a long time! When I read the summary I thought that this was going to be a retelling of Siddhartha by Herman Hess. Wow, was I ever wrong. It is about one man's journey from hell to something other than hell but it was nothing like I had ever read before. I don't want to give any more than that away. Suffice to say that from the frist chapter, I was hooked and finished the book in a few hours. 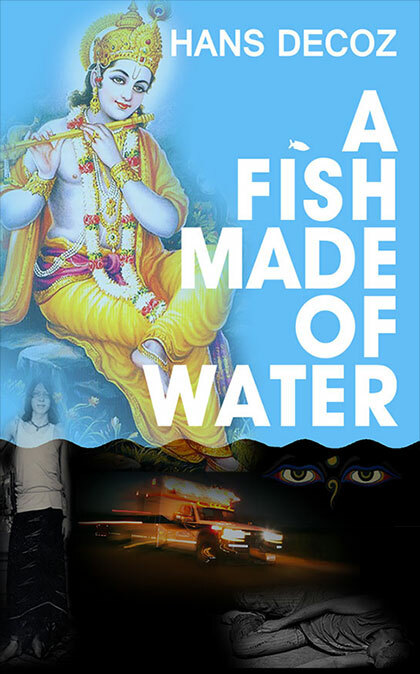 A Fish Made of Water is an excellent read, the prose smooth and clear the poetry profoundly thought provoking. I couldn't put it down!